identified as Israel Ogunsola, the son of a Nigerian. a member of the House of Representatives, was shot dead in the UK. At least six Nigerians have been killed in London attacks in 2018 alone. Street shortly before 8 pm. life but he was pronounced dead at the scene less than 30 minutes later. that the “bloodshed must stop”. He said his son was just cycling to meet friends when the incident occurred. He described the computer programming student as “academically brilliant”. Dele said his family has been living in London since 1985.
was liked by all and sundry. was a robbery, and the police have not told me. brother and sister; he was the baby of the house. We are all heartbroken. or gun crime in London this year. 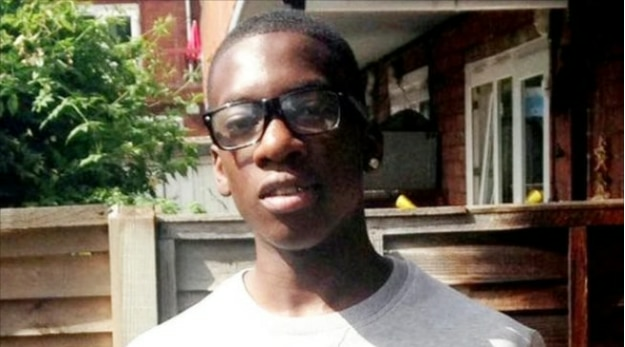 Two boys, aged 17, have been arrested in relation to his death.